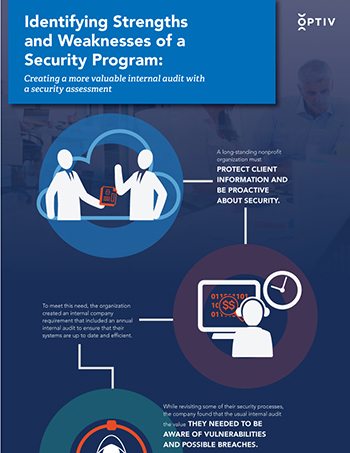 During a period of rapid growth, a nonprofit organization realized they needed to revisit many of their security processes and complete an internal audit. Optiv’s assessment services were a great fit and focused on vulnerability and penetration testing of the internal and external networks. See how Optiv helped improve their program based on best practices and years of industry experience in this step-by-step infographic.